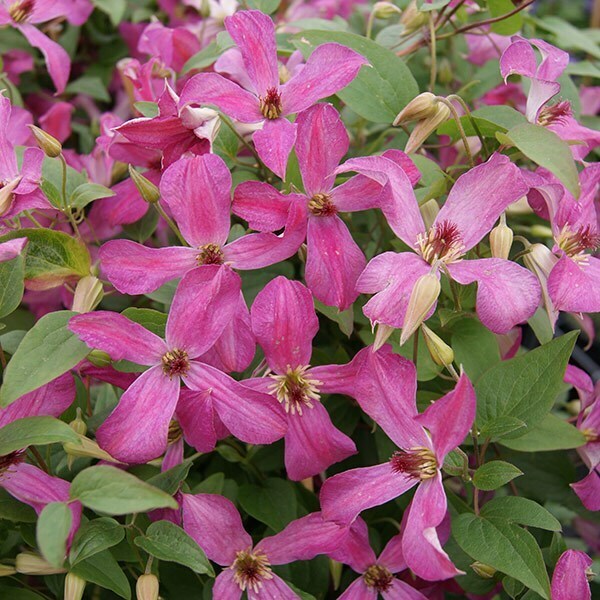 This new clematis will usually flower non-stop from midsummer to the end of autumn, and as the flowers are pretty prolific, it puts on a really spectacular display. The flowers themselves are a rich reddish pink, are slightly nodding on the stem, and can grow up to 7cm across. A viticella type, it also shows good resistance to wilt, and it will work really well in both borders and pots.